You are here: Home / Make Money / What is affiliate marketing and how does it work? If you understand the importance of multiple income streams, you will know that complete reliance on a job in today’s economy might not be the wisest idea. There isn’t a job for life and household incomes can change at the drop of a hat. 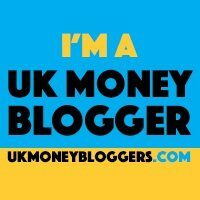 I started this blog as a creative outlet to express my thoughts about all things money and I hope that as my audience grows, it will be one of my outputs for creating an extra income. As a blogger, there are many ways to earn money, whether that be through sponsored posts, creating courses, ebooks, advertisements and of course, affiliate marketing. Affiliate marketing is the process of promoting/recommending a product or service and making a commission on its sale, and it’s one of the many ways that you can truly and honestly make a passive income online. Affiliate marketing is far from an easy way to make quick cash and it is for that reason some people will give it a go and decide that it might not be what is right for them. Every day we use products and services from a range of different companies, some good and some not so good. If you’re anything like me, you will no doubt share your experience with your friends and family and they might, in turn, make a purchase based on your recommendation. Affiliate marketing works in much the same way, but rather than face to face, it is done online. Without getting technical, after signing up to a company’s affiliate program you will be provided some text or a banner creative to add to your site or blog, when it’s clicked by one of your visitors, it is tracked by way of a cookie stored on their computer wand any sale made enables you to receive a commission. Why do companies offer affiliate programs? Having publishers promote their product or service is like having an extended sales force, which they only have to pay when the salesperson has made a sale. They recognise that those that are out there promoting on their behalf have visitors that might already be at the purchase decision stage of the customer buying process, a lot more profitable than sticking an advert in the local press in the hope that someone that sees it might open to purchase what they’re offering. How do you get started in affiliate marketing? First and foremost you are going to need something to write about. This, of course, can be anything but, you have to understand from the offset that just because you find something interesting, it doesn’t necessarily mean that there is an audience for it, therefore it is important that you choose a niche that you find both interesting but there is a target market for too. As tempting as it might be to start placing affiliate links all over your site, try and resist temptation. Try and grow a following and whereby you become a trusted authority within your niche. Once you have an audience sign up to affiliate networks and companies affiliate programs and start your promotion of products or services, be honest, if you are purely giving something a good review purely because they think that it might earn you a good affiliate commission, your readers are going to see right through, especially if the product doesn’t deliver on your promise and the trust that you have built will be lost. you first sign up to a company’s affiliate program, this might be managed by the company themselves or it might be administered through an affiliate network such as Awin, Tradedoubler and Monetise to name three. If you are accepted then you will be provided with a way of promotion, this might be a text link or some banner creatives to post on your site or use in your newsletter. These links, when clicked, will store what is known as a cookie on their computer and when a sale is made the company will pay you a commission on a sale made. Commissions vary but when signing up to a program, the company or affiliate network will detail information useful in deciding whether you want to exert your efforts for what you might get in return. You might have already used or visited a website that might already use affiliate marketing as a way to monetize its visitors. Product review websites after providing their information might offer you a comparison where to find this product at the best price, more than likely this will be an affiliate link. upon visiting your favourite blog or information websites they might have provided a link to something that they have reviewed or recommended. MoneySavingExpert is one site that has always been effective in its use of affiliate links while at the same time offering their visitors value. How much can you make in affiliate marketing? You might as well ask, how long is a piece of string? Like anything how much you can make from affiliate marketing differs, depending on many factors. How much you can make will depend on things such as your niche, how you promote the product or service and whether you are marketing effectively to a group that is ready to buy. There are some people that earn enough to buy a coffee and there are others that make hundreds if not thousands. Where do you go to become an affiliate? If there’s a company’s product that you want to promote, the first thing you should do is visit their website. Quite often at the bottom of their page, usually in the about section, they will have a link to information that details how you can join their affiliate program. If they don’t seem to have a program, try searching whether they do have one that is managed. Just by typing in “company name affiliate program” should bring you up a list of results in your search engine, this should bring up their program if they have one. Below are some affiliate networks that you can join now to start earning your some affiliate income. There’s no doubt that when done right and given time, affiliate marketing can be a perfect way of making an extra income. It takes hard work and effort and can pay well or not at all. What do you think? Is affiliate marketing something that you would try or are you doing it successfully right not, either way, I’d like to hear your thoughts on the matter in the comments below.